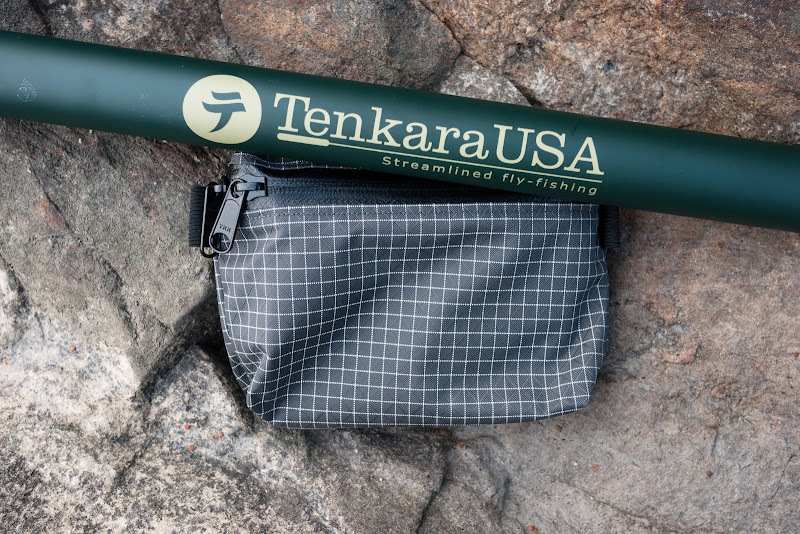 It is Tenkara USA's 1st birthday today, so I thought it appropriate to share with you a look at the tenkara gear I purchased recently. You'll have to wait a while still to hear and see the stories of me catching plenty of fish with it, it are the last weeks of winter here, but I reckon until Phil and Steven in three weeks arrive I'll have caught a trout or two! I have been angling since over twenty years now - I started as I was seven years old with a simple rod, line and float - and I have many good memories of going angling with my dad and brother. Fishing evolved for me from the rod and line to a nicer rod with a reel in many variations, and now I am going back to the rod and line, though this time with a fly at the end of the line instead of the float and worm on a hook. Ayu rod, 390 cm of pure beauty. The nice cork handle, which also acts as a counterweight. Partly opened, you can see the red braided rod tip - that's where the line gets connected to. 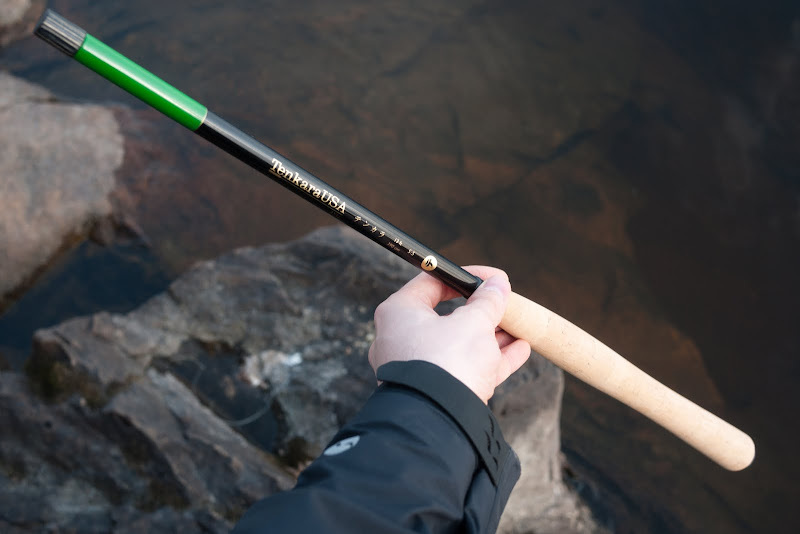 So what is tenkara fly-fishing, and why did I get this rod, line and flies? 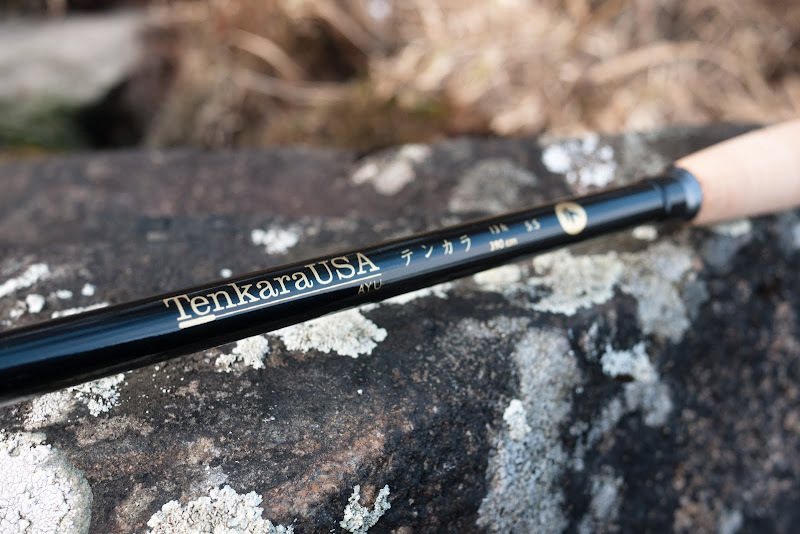 Well, tenkara is the traditional Japanese method of fly-fishing - it is simple (but can take a lifetime to master) and it is well suited for fishing while backpacking because of the light weight of the rod and its small size. 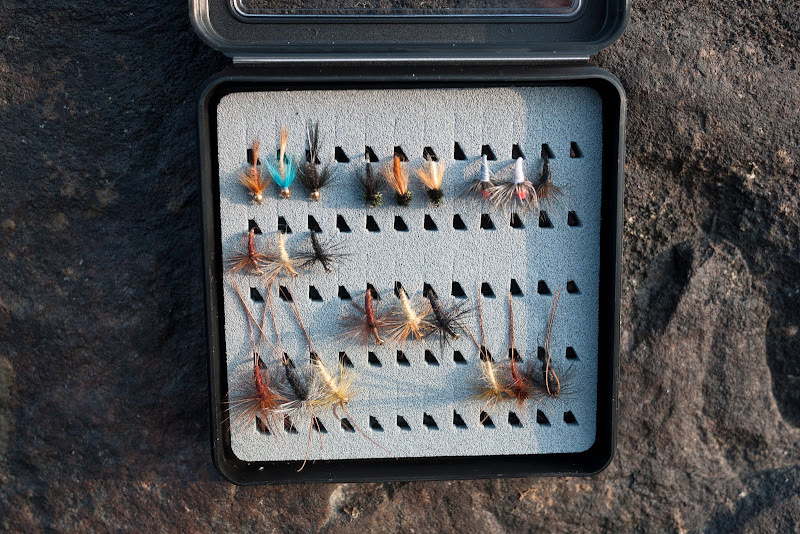 Here is a pretty good explanation of tenkara fly-fishing, so I don't repeat that here. 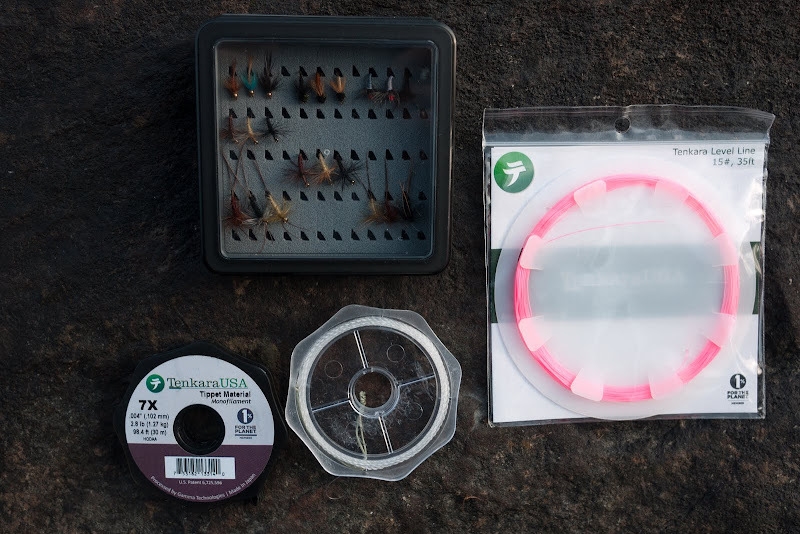 I got this gear because I always have been curious about fly-fishing, and the elegance, lightweight and simplicity of tenkara immediately caught my attention as it came out last year, and it took me some months of reading and thinking till I ordered the tackle. 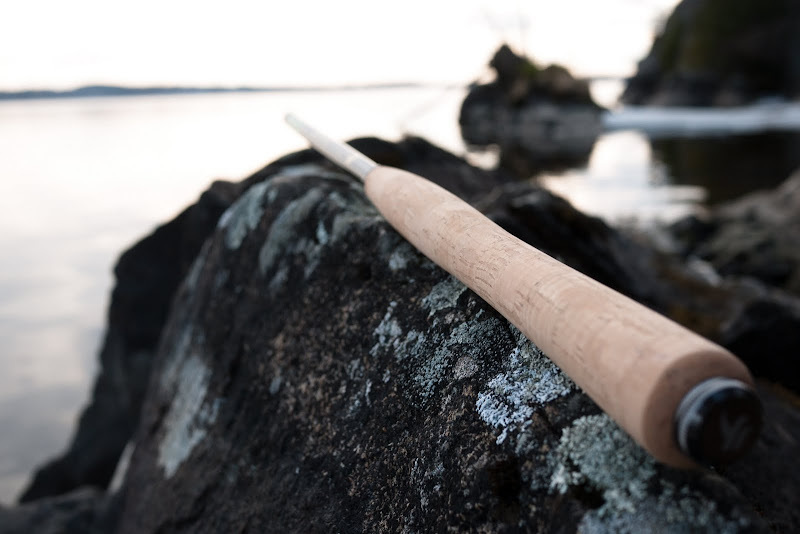 Collapsed AYU rod, 56 cm long. 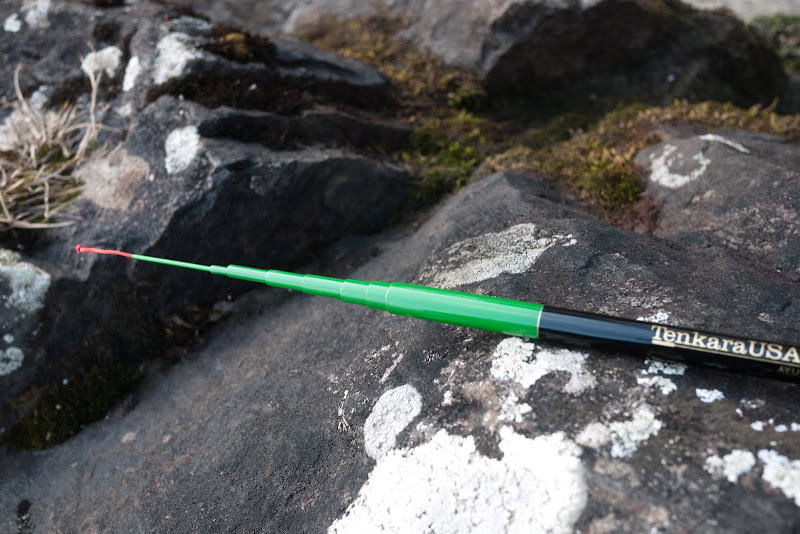 I got the AYU rod as that is what Daniel, the founder of Tenkara USA, recommended me to get, together with some traditional tenkara line, tippet, some tenkara level line and of course flies. Now flies are definitely a topic for themselves, and I am tempted to bind my own flies, but for the moment I went with the tenkara flies for simplicity reasons. Let me tell you one thing, though: Dr. Hisao Ishigaki, one of the leading authorities of tenkara angling, only uses one fly pattern! If I look back to the box of different lures I used to carry around, I still can learn a lot. ... and a close-up of those flies, true works of art! For a backpacking trip I would leave the protection tube at home, I am careful enough to not needing that, which means the complete pack of kit is 199 g. What is missing here is my fishing license and a fish hook remover, so that might add another 20 to 30 g to the kit. All in all, not too bad, I'd say. 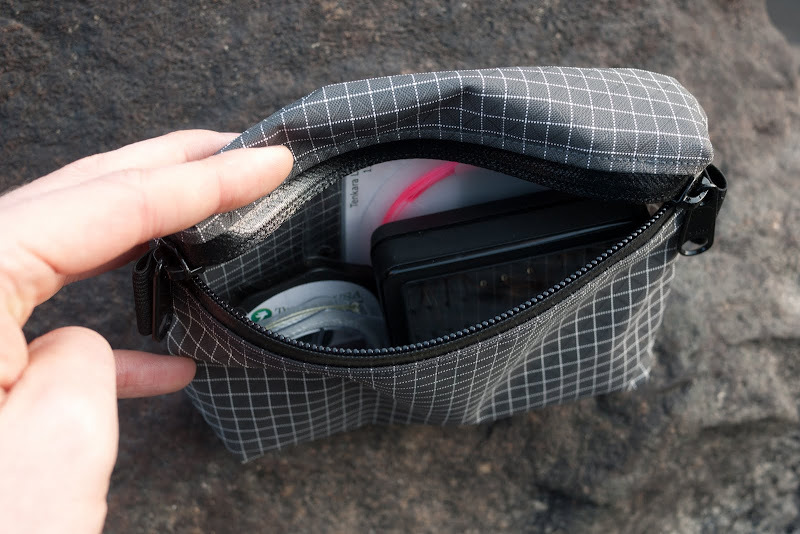 All fits perfectly into the Mountain Laurel Design pouch with place to spare.